There is nothing better than blue skies, and even bluer water. I snapped these photos whilst hanging around the Sydney harbour this week. 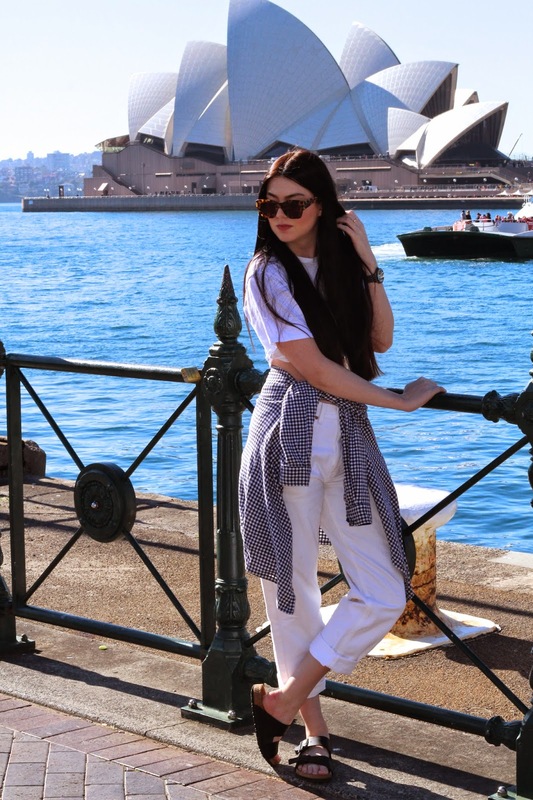 I've recently been loving all white combo's, and these jeans are definitely my new favourites! I stumbled across them in a Salvos a few days ago, and boy oh boy, it sure is exciting to find vintage Armani for $12! That's some awesome vintage! I can never seem to find good designer pieces when I go:/ Cool style! Love this look, those glasses are awesome! Love your hair as well, been trying to grow my hair out to that length…almost there now!